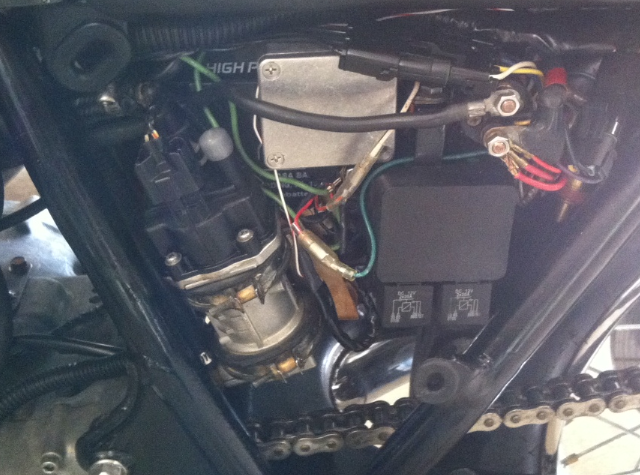 myk777 was one of the first to install the fuel pump controller on his YFZ450 quad. His testing is documented on the MSExtra forums. myk was using a mechanical returnless pump from a Suzuki GSXR. 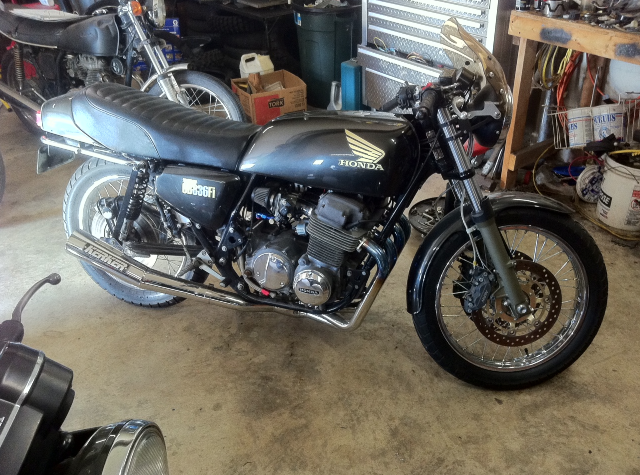 The mechanical regulator diverts a great deal of unused fuel, so it is not very efficient. This required more power than the stator on myk's quad would allow at idle, so the battery would not charge at idle. In this setup, both the mechanical regulator and the electronic pressure regulator are installed. At first, the mechanical regulator is limiting pressure, later, the set pressure for the electronic regulator is reduced to about 37 PSI so the mechanical regulator no longer has authority. 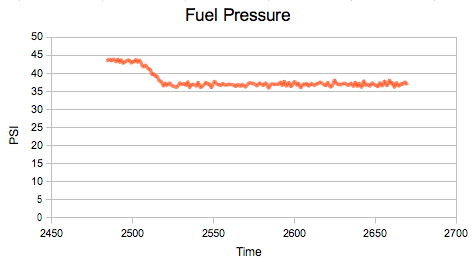 Notice the pressure is quite stable even when the engine RPM varies. 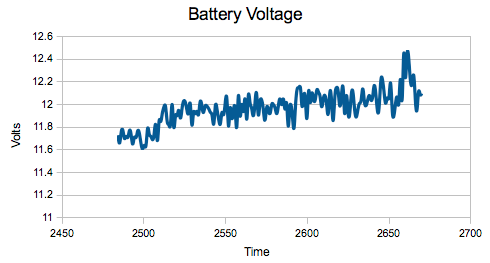 This is mostly at idle, so notice the battery voltage is well below 12 Volts while the mechanical regulator is in control. After the electronic regulator takes over, less power is required, so the battery can charge properly. It is also interesting to note that the electronic pressure regulator is actually more stable in terms of pressure than the mechanical regulator. The standard deviation for the mechanical regulator is about 2.75 PSI, compared with 1.68 PSI for the electronic regulator. 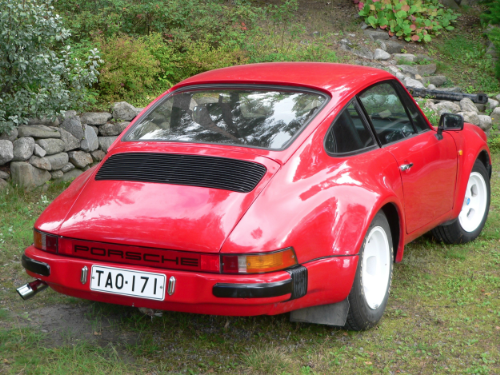 Vesa from Finland has installed the electronic fuel pressure regulator on his Porsche 911 replica. 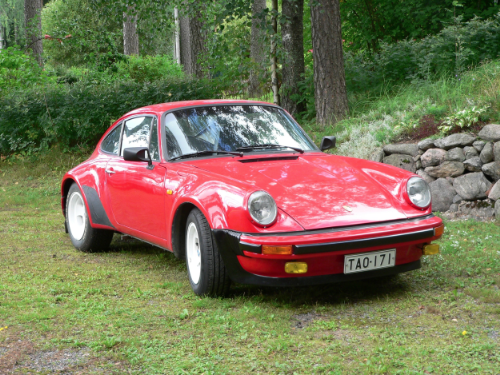 It's built on a VW 1600TL frame.